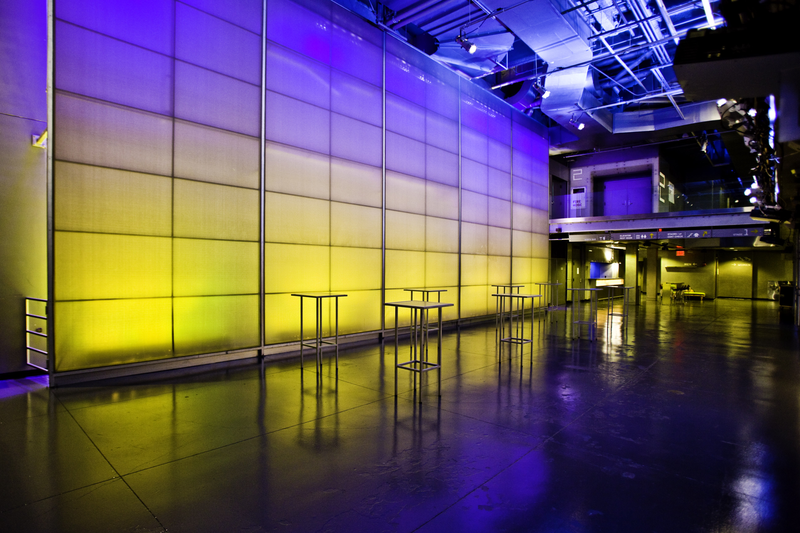 Rent New World Stages | Corporate Events | Wedding Locations, Event Spaces and Party Venues. Our clean, contemporary design can provide a stylish backdrop for events of all shapes and sizes, with the flexibility to transform into a distinctive vision. With a knowledgeable sales team, experienced AV technicians, and a hospitable front of house staff, our foremost goal is to provide the best customer service in New York. At your next event, showcase your company’s unique branding using the newest trends in AV technology, network with cocktails in our multi-level reception space, tweet about your event on our high-speed wireless Internet, or experience a conference in any of our five various theaters utilizing the technical capabilities of Tony Award winning and Guinness World Record setting productions. Nestled in between bustling Times Square and trendy Hell’s Kitchen, New World Stages is the perfect location for your next event; a destination easily accessible by all modes of transportation.